If there's one garment worth shelling out top dollar for, it's a sturdy winter coat that will go the distance. For fickle pickles who consider variety a spice that should be applied liberally and often, however, there are several ways to have your high-caloric dessert and eat it, too. If you need to inject some zing back into your topper, we have three words for you: accessorize, accessorize, accessorize. You'll fall back in love with your coat like you did the first time, no switching allegiances necessary. Above, a trio of hand-sculpted ceramic fox heads (£17 each) will liven up the dullest winter pelt. You practically live in your coat during the frostier months, so is it any surprise that even the most winsome of dusters can start to look a little…dingy? Before you start auditioning replacements, consider giving your topper a quick and inexpensive makeover to freshen things up. 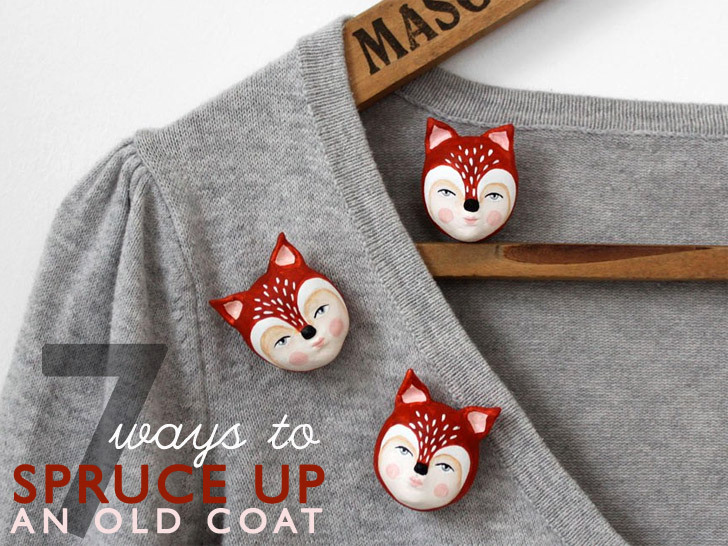 From do-it-yourself military epaulettes to opulent sweater clips, these quick-change additions will have you and your coat walking on sunshine—and snowdrifts—again. Never underestimate the transformative effect a fresh set of buttons can have on a lackluster topper. Rhinestones evoke instant glamor, embossed gold blazer buttons give a sly nod to the military/collegiate trend, while wooden toggle closures keep things classy and classic. 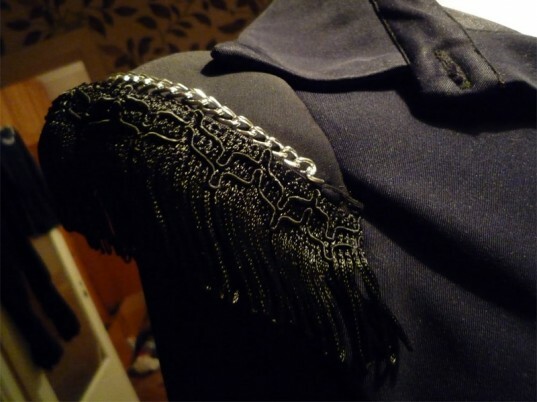 Ornamental shoulder-pieces, known as epaulettes, aren’t only for the military-minded, although going the faux-soldier route is anything if not au courant. For a less literal take, you can make your own using materials from around the house: shoulder pads, buttons, feathers, and zippers can be pressed into service with little more than fabric glue. A statement belt can trigger a personality shift in any outfit, even a yawner of a coat. 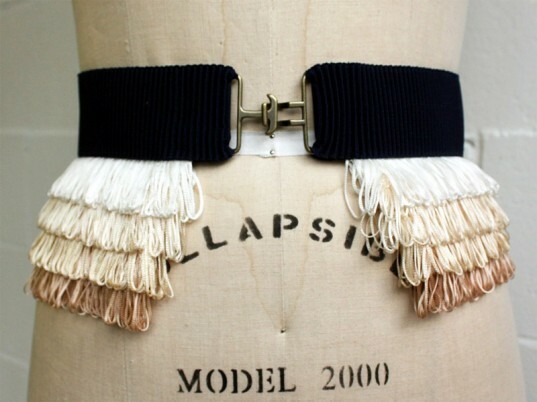 Norwegian Wood’s handmade fringe belt skirts the border between demure and flamboyant. Plus, should you decide to chicken out, you can whisk it off your waist and into your purse without anyone the wiser. 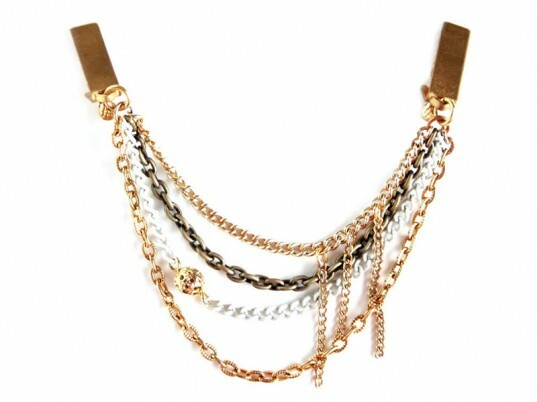 A striking collar or neckpiece instantly transforms any ensemble. 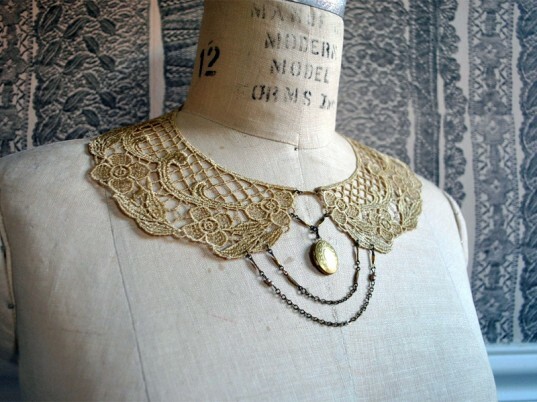 The unabashedly romantic Edith brings together strands of brass chain, vintage lace, and an engraved locket. The collar’s more demonstrative older sister, the capelet envelopes your upper body in warmth while adding a hefty dose of visual interest (Google “fair isle capelet” if you’re so bold). 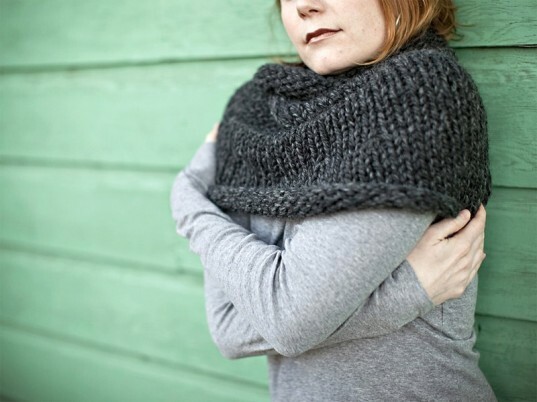 Miss Maggie Love’s multipurpose cowl, though modest-looking, is a textural feast for the senses. It can be pulled over your shoulders like a capelet or lifted over your head as a hood. Favorite wrapper looking a bit wan? Put some bling on it with a versatile sweater clip, which can double as a hairpiece, necklace, or belt accessory. If you’re looking to splurge, DLC Brooklyn (formerly Dirty Librarian Chains) has assembled a fine selection. Ornamental shoulder-pieces, known as epaulettes, aren't only for the military-minded, although going the faux-soldier route is anything if not au courant. For a less literal take, you can make your own using materials from around the house: shoulder pads, buttons, feathers, and zippers can be pressed into service with little more than fabric glue. A statement belt can trigger a personality shift in any outfit, even a yawner of a coat. Norwegian Wood's handmade fringe belt skirts the border between demure and flamboyant. Plus, should you decide to chicken out, you can whisk it off your waist and into your purse without anyone the wiser. The collar's more demonstrative older sister, the capelet envelopes your upper body in warmth while adding a hefty dose of visual interest (Google "fair isle capelet" if you're so bold). Miss Maggie Love's multipurpose cowl, though modest-looking, is a textural feast for the senses. It can be pulled over your shoulders like a capelet or lifted over your head as a hood. Favorite wrapper looking a bit wan? Put some bling on it with a versatile sweater clip, which can double as a hairpiece, necklace, or belt accessory. If you're looking to splurge, DLC Brooklyn (formerly Dirty Librarian Chains) has assembled a fine selection.